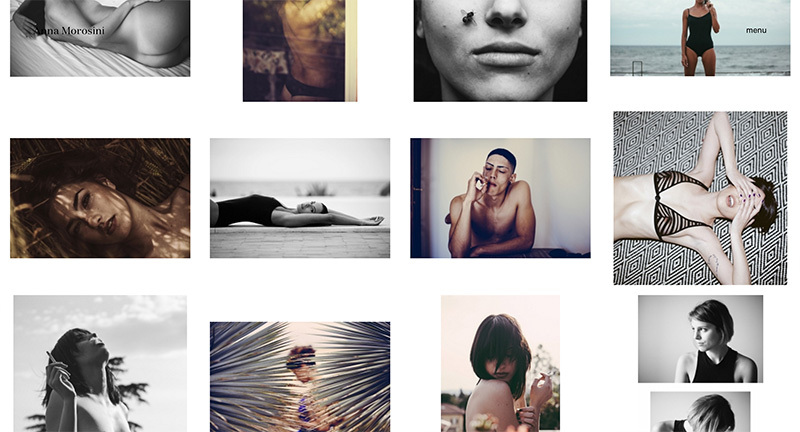 Site of Italian photographer Anna Morosini. Nicely crafted portfolio divided by category of work, love the offset grid and minimal layout reliant on slivers of imagery which expand with interaction. Love the whitespace and feeling of calm the layout offers, nice transitions between imagery. Some interesting interaction models dotted throughout, love the scroll to close image in the portrait section. 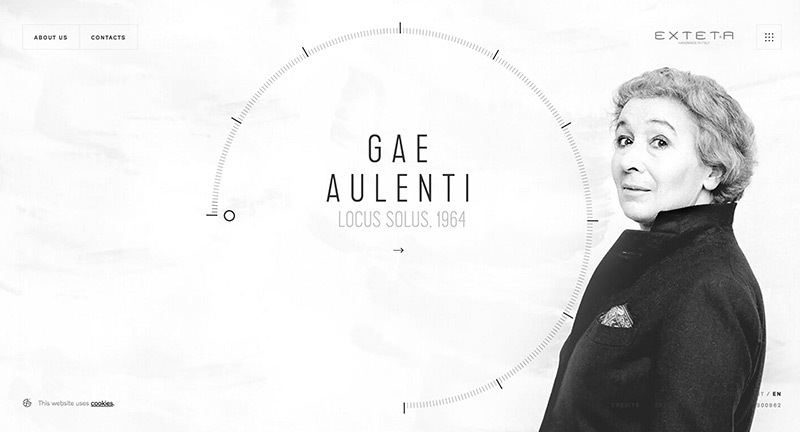 Created by Studio Gusto (@GustoIDS). 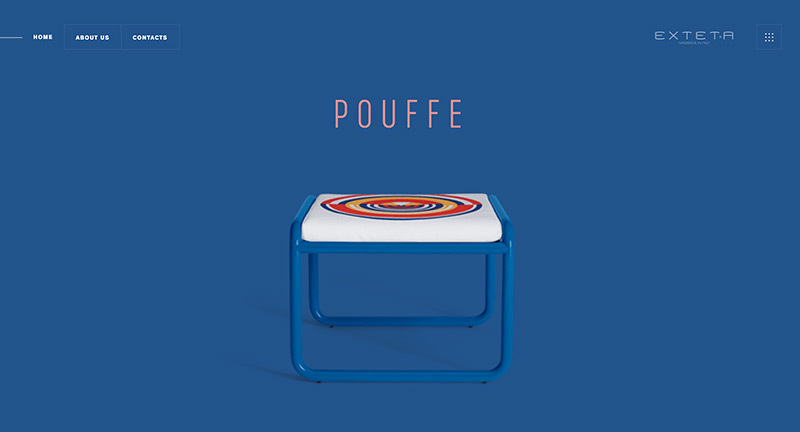 Site for the re-release of iconic Italian architect Gae Aulenti’s outdoor furniture collection. 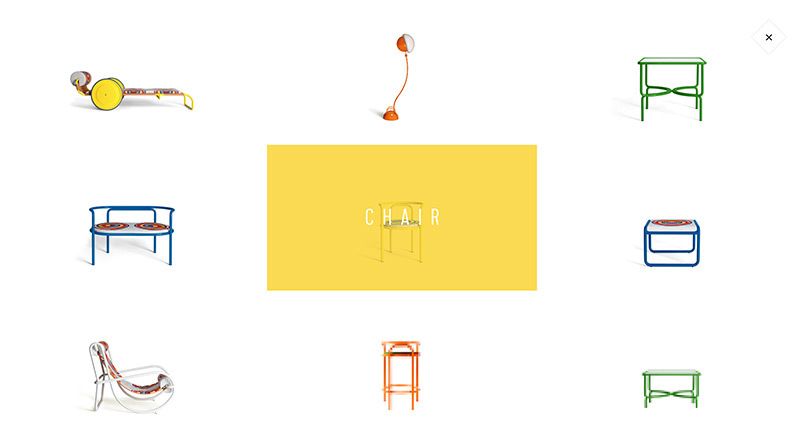 Lovely colourful and playful site that shows the range of furniture. Really like the product detail pages, as you scroll down towards the end the colour of the page and furniture changes to show the range of available colours. Also love the homepage mechanic of scrolling through the range and the seamless transitions from thumbnails to detail page. 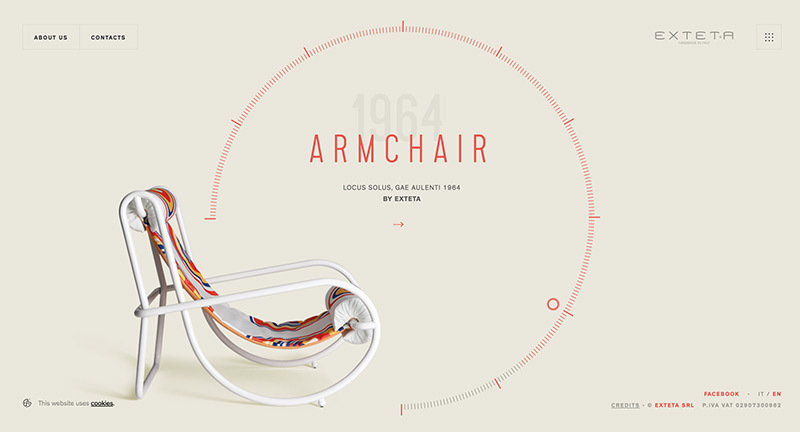 Lots of lovely details, animations and transitions that create a modern site full of personality.